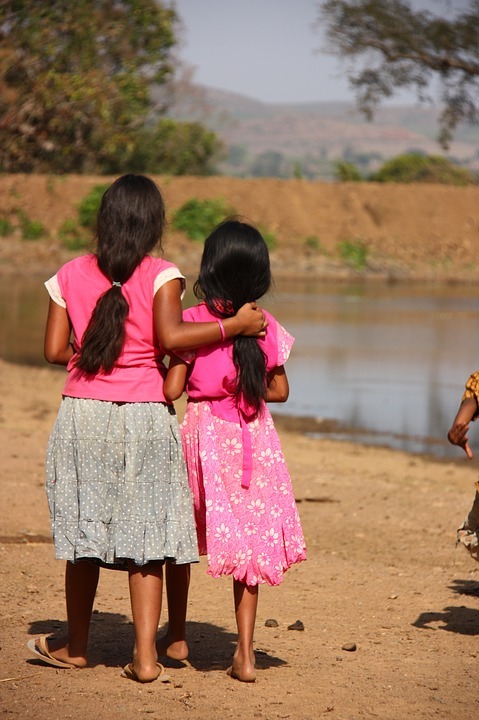 Chand was 13 and Chakor was 11 when the talk around their marriage happened for the 1st time. Both girls had seen many many girls get married from Katihar and claimed to know “many many things” and yet there were things which they never could quite understand. Chand was named by her great grand mother on her dying bed as a last wish – and when Chakor came 2 years later in the neighboring house – she simply became Chand’s shadow…. Both mothers decided to marry the girls off to blood-brothers, thus “making them inseparable even after marriage” the whole gang of elder women cackled. They even made up a song to tease both the girls about this decision. They would be “best friends forever” and would also share a “devrani-jethaani” relationship. This initial teasing gave way to some elders speculating that soon the “devrani-jethaani” – would actually need some bounds and may actually turn into a very negative relationship. Both Chand and Chakor wondered, why was everyone always speaking about “devrani-jethaani” relationship and why was everyone so bothered and amused about a relationship which was just being discussed. Why did everyone have something to say about something which hadn’t yet happened? Chand and Chakor went on with their games and lives… but all this talk had definitely started bothering them.